The right toothpaste can help improve your dental health. However, finding the right toothpaste can be a bit of a task. 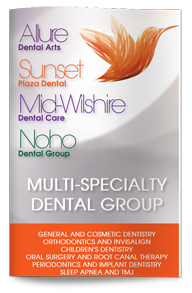 Our West Hollywood dentist explains how you can get the most out of your toothpaste. One of the best ways to keep your teeth strong and healthy is by using fluoride toothpaste. This naturally occurring mineral interferes with the metabolism of oral bacteria and helps teeth remineralize faster. All patients over the age of six should use fluoridated toothpaste. Children under six should use toddler toothpaste that is made especially for them. This seal is evidence that the toothpaste contains effective ingredients, has been tested and has been shown to work. If you have sensitivity, your teeth may need special care. If our dentist has ruled out more serious problems, sensitivity toothpaste with strontium chloride or potassium nitrate to help reduce discomfort. Use a soft-bristled toothbrush and a light touch when brushing to avoid further irritating your teeth and gums. Superficial stains may respond well to whitening toothpastes. 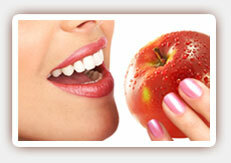 However, if you have deep stains, a professional whitening treatment may be a better option. Avoid using abrasive whitening toothpastes for more than a month since they can irritate your gums or wear down your enamel. When it comes to flavor, texture, gels or pastes, the choice is purely up to you. Choose toothpaste you like and will enjoy using at least twice a day to keep your teeth clean, strong and healthy. Contact us today to schedule your next checkup.